The first time I ever played a record on my own was in 1972, when my parents bought me a compact record player that, when closed, could not be distinguished from a suitcase. Since I didn’t yet have any records of my own, I went to their collection and played a 45 of “Love Child” by The Supremes. 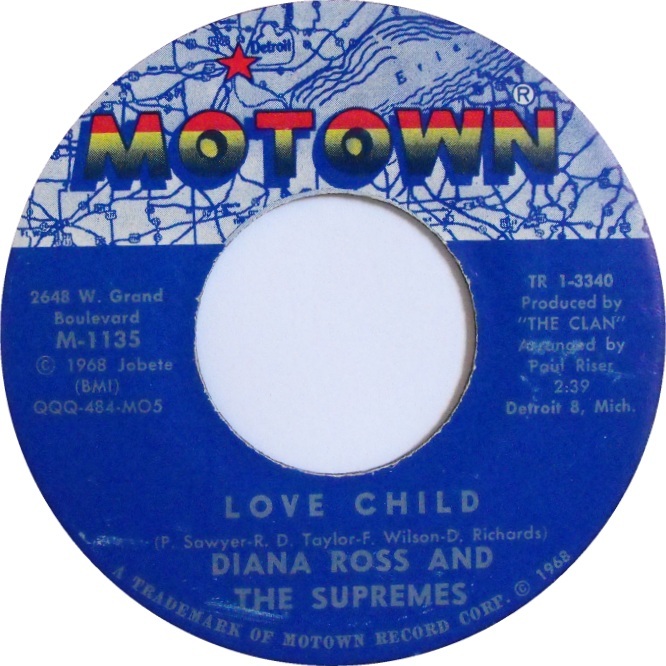 On that day I became a life-long fan of The Supremes, Diana Ross and the now legendary Motown sound. Over the last couple of years several Broadway productions have been mounted that pay tribute to favorite singers of mine, most notably, A Night With Janis Joplin and Forever Dusty. I have been hesitant about seeing these shows because I never saw these singers live. Of course I have seen videos, but they simply do not compare to seeing and hearing someone sing live. I feel a little left out. I remember being awed by a video of Janis Joplin’s electric performance at the Monterey Pop Festival. Interestingly, someone filmed Mamma Cass Elliot’s (who was an awesome singer in her own right) reaction to Joplin’s performance and she is visibly blown away, her lips silently saying, “Wow!” I initially had mixed feelings when my sister, a fellow Motown devotee, gave me tickets to see Motown: The Musical. I wish I could have seen Marvin Gaye, Mary Wells and, of course, The Supremes live. Regardless of what I missed, I went in with an open heart and mind and was not disappointed. Motown: The Musical explores a uniquely American institution, and its role in history. Motown’s cultural contributions are enormous and this show bears that out. Perhaps Motown’s greatest contribution is the way music brought people together; blacks and whites loved the music. The show does not shy away from issues like racism, segregation, poverty and war; in fact, the manner in which they are addressed felt quite germane. This was perhaps best depicted through Marvin Gaye’s timeless classic, “What’s Going On” —which was beautifully sung and performed by Jarran Muse, who magnificently captured Gaye’s sensuality, sensitivity and vocal power. One of my favorite moments was when the audience meets The Jackson 5 for the first time. Raymond Luke, who played Michael Jackson, was nothing short of remarkable. The audience reaction was equally stunning: it was almost as if a young Michael Jackson was really up on the stage! Perhaps the most unexpected moment was when the audience meets Rick James, played with absolute bravado by Eric LaJuan Summers. All I can say is that you have to see it for yourself. I was quite disturbed by Tracy McDowell’s attempt to recreate Teena Marie’s singing—-get a better singer or cut this song out! Another curious moment is when Florence Ballard (Allison Semmes) begins behaving unpredictably and Berry Gordy, ( Brandon Victor Dixon) says, “The pressure of fame is vicious. Not everyone can go the distance.” I could have sworn I heard a few bars of “And I am Telling You”, from Dreamgirls, played on the piano. The show makes good use of the stage, successfully integrating set pieces with video. The costumes were colorful without losing period authenticity. The orchestra captured the Motown sound, making excellent use of tambourines, melodic electric bass-guitar lines, and orchestral strings. Overall, I enjoyed Motown: The Musical and recommend seeing it. The music, singing and acting were excellent. However, at times it feels like there is too much crammed into this show. Gordy, who wrote the show’s book, seemed determined to mention every act from Motown’s long roster. Gladys Knight and the Pips were only with the label briefly, considered second string and found their greatest success after leaving Motown. Yet, they surprisingly make a brief appearance in this show. More than 50 songs are performed, many abridged, with the best presented in concert. Gordy’s story is Motown’s story and both are truly notable and should be depicted onstage. However this show doesn’t quite do the story justice. Ultimately, this show is about great songs that have stood the test of time and will likely not be thought of in the context of this show. The songs, and those who sang them, firmly stand on their own. Playing at the Lunt-Fontanne Theater, 205 West 46th Street, Manhattan, (877) 250-2929, http://www.motownthemusical.com/. Running time: 2 hours 40 minutes.